Ammonium nitrite represented by the chemical formula NH4NO2 or H4N2O2  that bears the IUPAC name azanium nitrite  is a compound containing nitrogen, hydrogen and oxygen that is soluble in water . 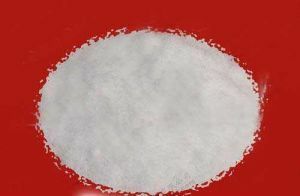 It is an ammonium salt and an ionic compound . Ammonium nitrite can be prepared by a reaction between silver nitrite and ammonium chloride that also produces silver chloride . 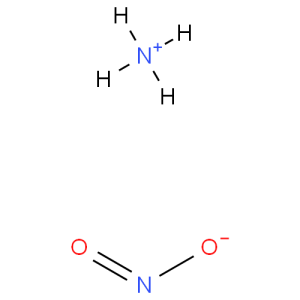 Nitrous acid also reacts with ammonium hydroxide to produce ammonium nitrite and water . If the concentrated solution of the compound is heated too strongly, it explodes decomposing into nitrogen gas and water [5, 6]. As a microbiocide, rodenticide and agricultural pesticide . For the synthesis of nitrogen gas and ammonium cobalt-nitrite . 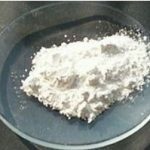 The unstable compound is extremely difficult to find in its pure form and almost none of the major chemical suppliers sell it for commercial purposes .